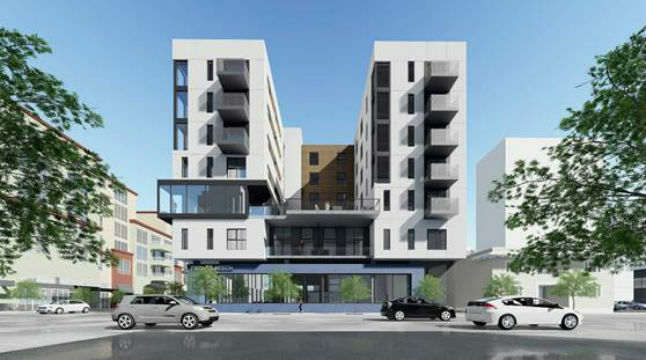 Affirmed Housing Group has acquired a 10,000-square-foot parking lot in Little Italy and plans to develop a 78-unit affordable housing project. Colliers International, which represented seller Central Auto Parks, said the transaction was valued at $3.75 million. The site is at the southeast corner of Front and Beech Streets, adjacent to the Little Italy neighborhood in downtown San Diego. “Affirmed Housing will deliver much needed affordable housing in a good location near all the employment, shopping and transit options in downtown,” said Victor Krebs, senior vice president at Colliers International. “The property had been owned by the same family since the 1960s, so the sale was a unique opportunity for Affirmed Housing to transform a vacant parcel into affordable housing,” he added. Founded in 1990, San Diego-based Affirmed Housing has developed 34 communities with over 3,000 units.